Original KISS drummer Peter Criss is getting set to release his autobiography, "Makeup To Breakup," on October 23. "I am so blessed that I am finally going to write my autobiography, and I hope you enjoy the ride," said Criss. "The best of all is I get to share my true feelings of my love for God, family, friends and fame. It's been a wonderful life." 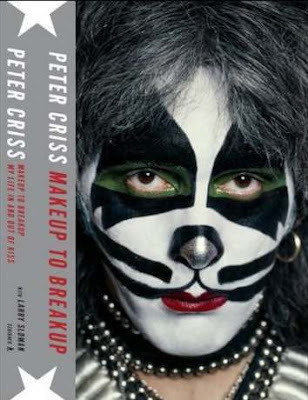 Criss will promote the new memoir with a series of newly-announced book signing events, including one in New York City on the day “Makeup To Breakup” is published. "Makeup To Breakup: My Life In And Out Of Kiss"